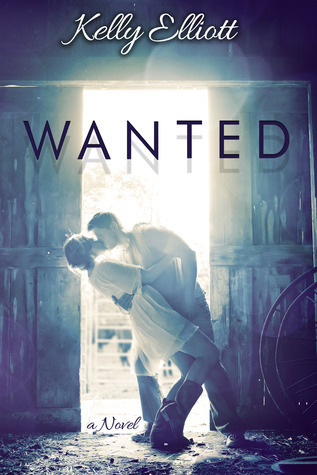 First, I am going to start off and say that I give Kelly 2 thumbs up and 5 stars for WANTED. This was Kelly's first book and I think she did a fabulous job !!!! I think the story line was GREAT and the characters were very well developed. I love how Kelly alternates between each characters POV throughout the story, so we can see exactly how they feel and see things through their eyes. Ellie grew up with a drunk as a mother and was mentally abused by her mother on a daily basis. Ellie was told by her mother that she would never amount to anything and that nobody would ever WANT her !! Jefferson, Ellie's older brother is attending the University of Texas and has a best friend Gunner. Jefferson is very protective of his little sister, but never knew the extent of the verbal abuse their mother was inflicting on Ellie. Ellie needs to learn to love herself before she can allow someone to love her. Ellie needs to know that she is WANTED and open her heart to love. This book is a great love story and will definitely leave you wanting more. I would recommend this book to anyone who loves a GREAT LOVE story !!!! I look forward to more books from Kelly. This was her 1st book, so I know she will continue to grow as an author and create more stories that will captivate us !!!! I loved this book also. I can not wait for Saved! Great review! You summed the book up perfectly. So easy to fall in love with this book.